One closet. Two boys. This could be a recipe for disaster, but it’s our only logical choice since the boys are now sharing a bedroom. ALL of their clothes are in one closet. 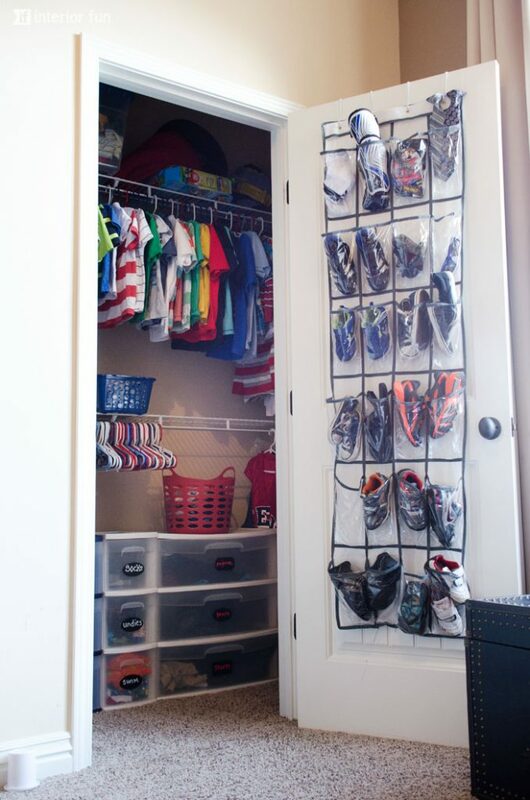 Yes, all of their clothes, shoes and accessories are in just ONE closet. The only dresser that we have in the room is about 70 years ancient and isn’t used for clothing storage. We do keep a few seasonal books stored away in there and use the top of the dresser as a place for a lamp and our diaper basket. Other than that it purely serves aesthetic purposes– a little pop of red and something to fill the space. I’m holding off on buying any new furniture for their room until they are a bit older and it’s needed. With any organizing system, it’s inevitable that the process will need to be tweaked as the seasons of life continue to change. 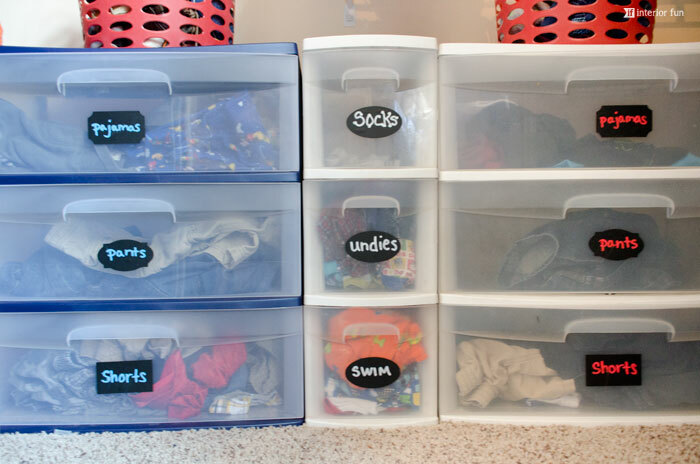 Because of this, I opted to use chalk labels and chalk markers for the labeling, that way I can easily erase the writing and change it if need be in the future (it just takes a little bit of water on a paper towel to remove the writing). I purchased a SuperChalks marker off of Amazon recently for the chalkboard in my office. It writes so well, and won’t come off when the boys run their hands across it like regular chalk would. 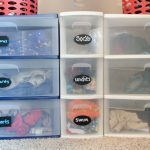 I used a blue marker to label Kasen’s drawers, red to label Koah’s drawers, and white to label the shared drawers. This is just another small, but simple indicator (like the text) to help the little ones understand the system and differentiate which side is their own. Plus, all of those colors match the room! Ok, so this section of explanation might be totally boring to you. 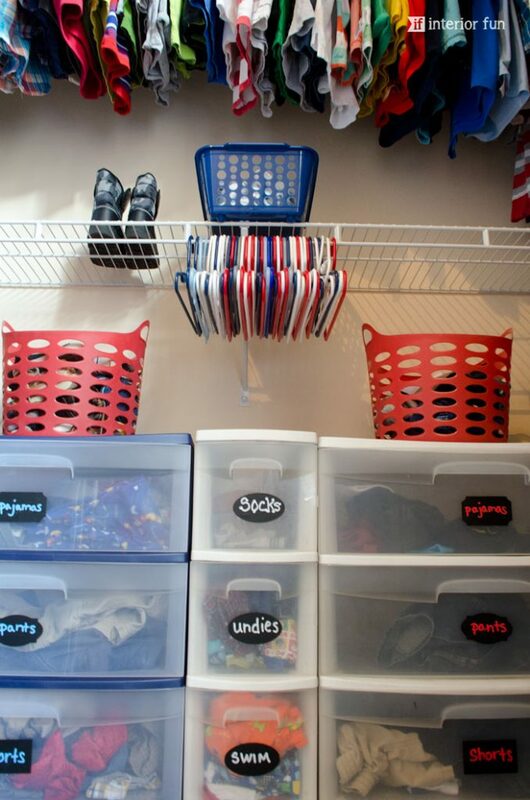 If you want to know the secret to the boys putting away their own clothes, then feel free to skip to the next section “How we work with the system.” BUT if you are like me then knowing all the details, even the boring ones, can be a huge part of the learning process. Boring or helpful, I just couldn’t leave it out! 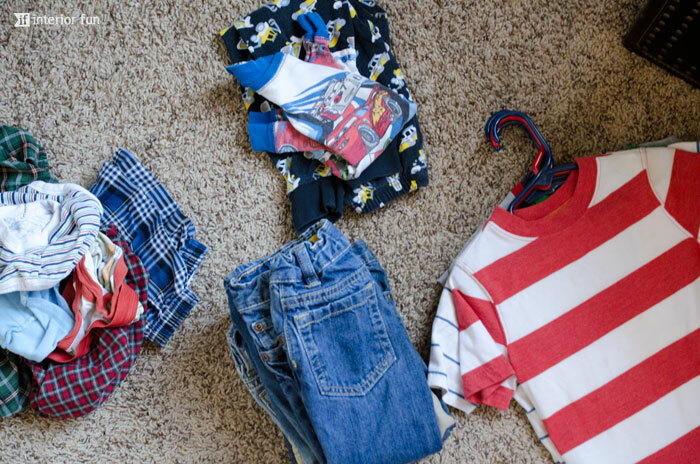 Each boy has their own three larger drawers that hold pajamas, pants and shorts, respectively. They share the smaller drawer unit that’s in the middle. 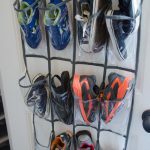 The smaller drawer unit holds socks (which the boys wear the same size, so they share socks), underwear (only for my oldest, littlest is still in diapers), and then swim wear (swim trunks & rash guards). 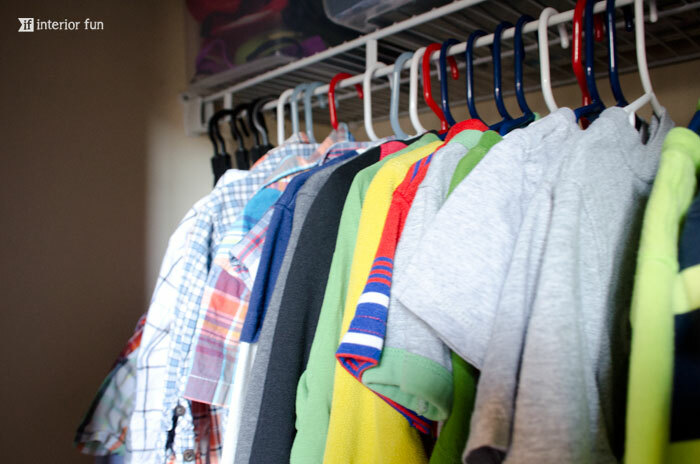 All of these items — pajamas, jeans, etc, fold easier than being hung up. Also, it’s not a super huge deal if they come unfolded, as they don’t wrinkle easily (or it doesn’t matter like with pjs). I will say that sometimes the clothes are crammed in and DO come unfolded, but hey, I pick my battles. I’d rather praise them for trying and being responsible than scold them for not doing it as their adult mom would do it. Though I am hopeful that one day the clothes will remain nicely folded. All shirts and jackets are hung up on the top bar. This is one step in the “putting away process” that I am still in charge of. 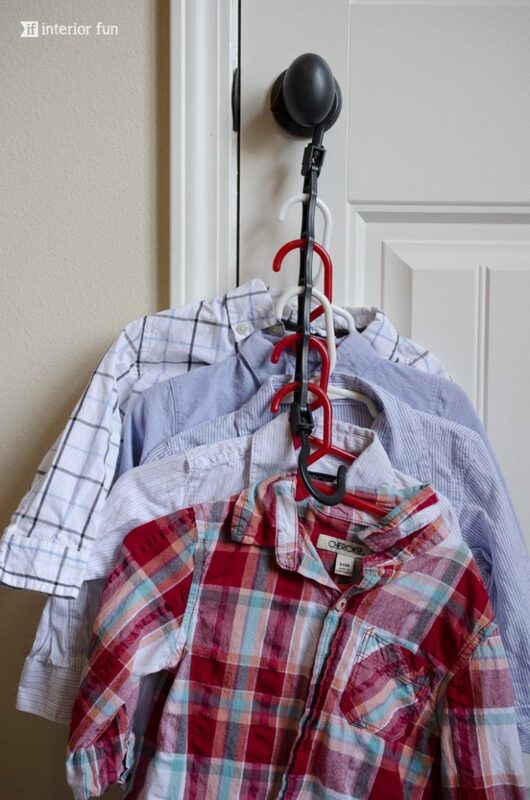 The boys will help me put shirts on hangers occasionally, but it’s still a bit challenging for them. I hang their shirts according to type. 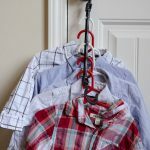 Dress shirts & nicer clothing go closest to the wall on collapsable hangers since we don’t need to access these as often. They usually only wear these shirts on Sunday for church, or on special occasions. The next closest to the wall are long sleeves, followed by short sleeves. 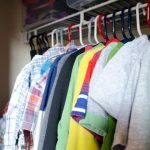 We often will have a few shirts that the boys aren’t quite big enough for and bulkier items like sweatshirts that we store on the bottom bar (on the sides of the storage drawers). And that’s pretty much it for the hanging clothing! 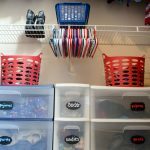 We keep a hamper in the corner of the boys’ room that they fill with their dirty laundry. Once it’s full, I take it to the laundry room. I’d say I wash about a load of their clothes every week to week and a half. 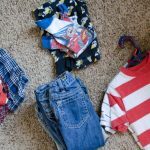 I wash the boys’ clothes in their own special load that has only their clothing and nothing else — this way I don’t have to do any sorting. After the load of laundry has been washed and dried, I bring the laundry basket into their bedroom and park myself on the floor. The boys play nearby while I fold and sort the items into piles. I make separate piles for each drawer (i.e. Kasen’s pants, Koah’s pants, Kasen’s Pajamas, etc). 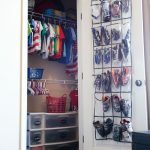 Sorry, no posts matched with "How to Organize a Closet that (Little) Kids Can Maintain".